Do you need a dog crate cover? Home / Pet Related News / Do you need a dog crate cover? Many people are on the fence about dog crates (no pun intended). If you’re one of those people, think of a dog crate as a sanctuary – a place where your dog can go to rest. 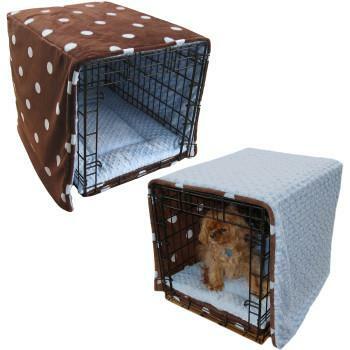 For that, we designed a comfortable addition to our Puppy Hugger dog beds: the Puppy Hugger Crate Cover and Crate Pads. If you take your dog on excursions, whether it be to the park or the beach, or a good hike in the trails, your dog needs a place to relax afterwards. Having a dog crate to come home to allows them to rest without being disturbed. Giving them their own private “den”, puts them at ease. But a dog crate alone isn’t enough. Obviously, you want them to relax in comfort…wouldn’t you want to? For that, our dog crate pads are the perfect addition to your dog crate. Fine faux-furs, fluffy rose cuddles, or fancy animal prints, there are plenty of options for making your dog’s crate pad unique to fit their personality. 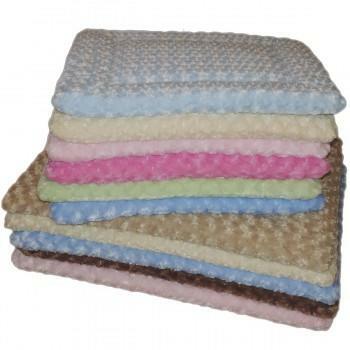 The Puppy Hugger crate covers and crate pads are hand-made by Elaine Doran and her skilled team. Paying attention to detail, the crate pads and crate covers are stitched together with care. Choose from an array of sizes and hundreds of fabric combinations.